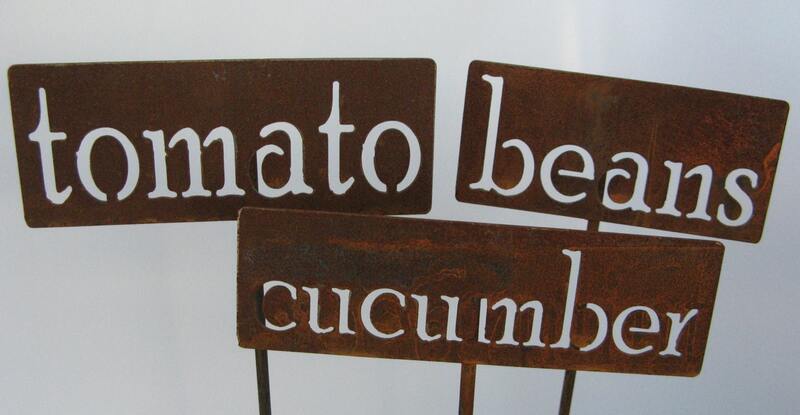 Rusted steel garden markers help you identify your plants and add a bit of rustic whimsy to the garden! You may find them elsewhere, but these are the originals! This new listing allows you to purchase a new crop we may not have listed yet. This order will be made per order and allows time for processing new items. 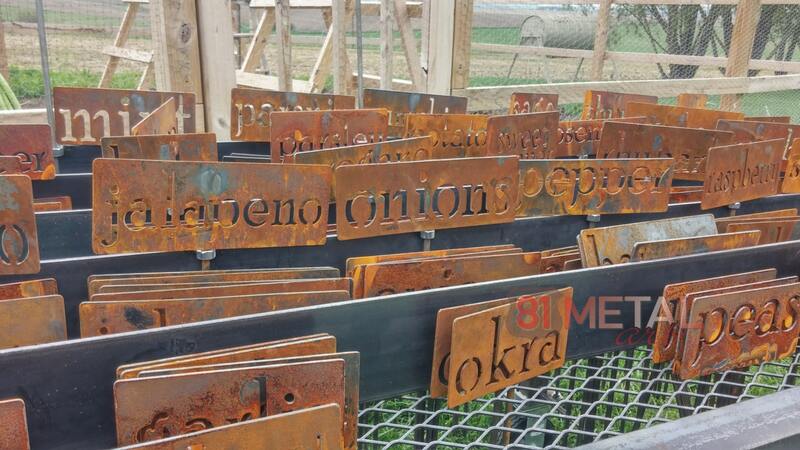 Classic Garden Markers are cut from steel about as thick as a nickel. 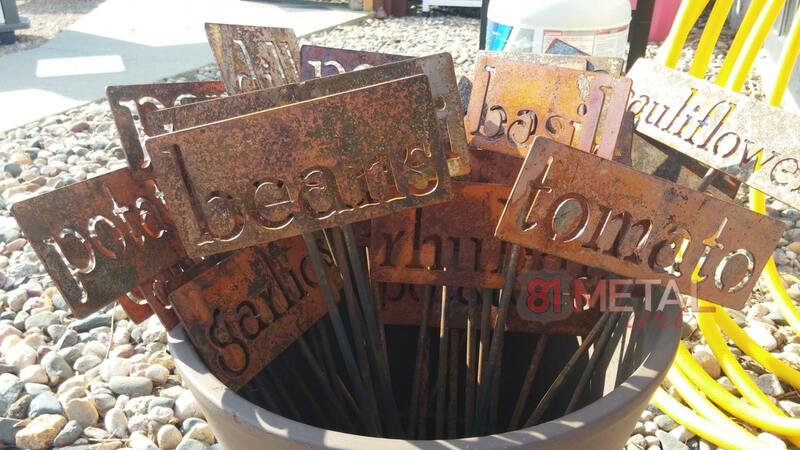 Each one is welded onto a sturdy steel rod. These delightful markers will last for many decades of use. Very sturdy yet light-weight. They make a great gift! 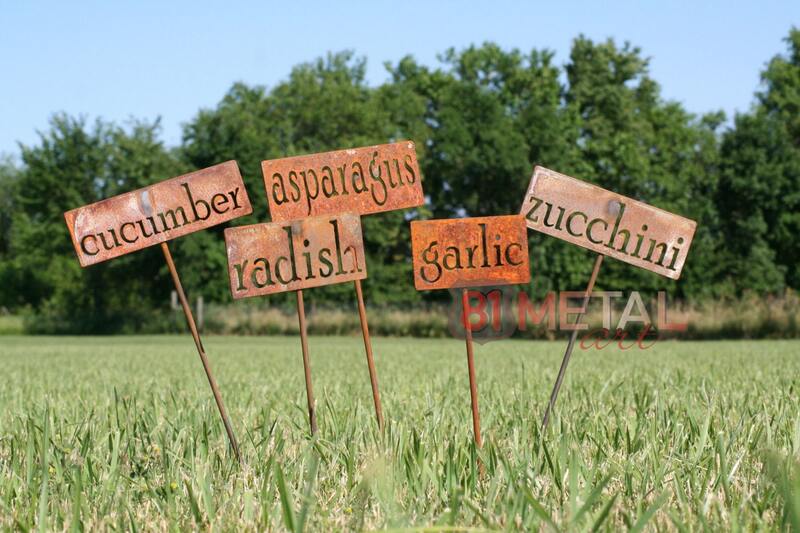 Name portion of the garden stake uses a charming font. The face is max 8" wide for longer words or 3" tall for short words. Stakes are roughly 19" tall but two-word markers may be slightly taller. New vegetable crops are limited to 1 word or 2 very short words. We cannot fit long variety names or scientific names onto this size, but please contact us for custom orders of longer words! During checkout, please leave us a note with the crop you will need on your marker. All of our items are 100% made in USA and made to last! Extremely responsive, helpful with working through details on a custom order, quick delivery and a finished product that exceeded my expectations. Very happy and will be back for future projects, highly recommended! Ordered a WELCOME sign, and it is perfect!